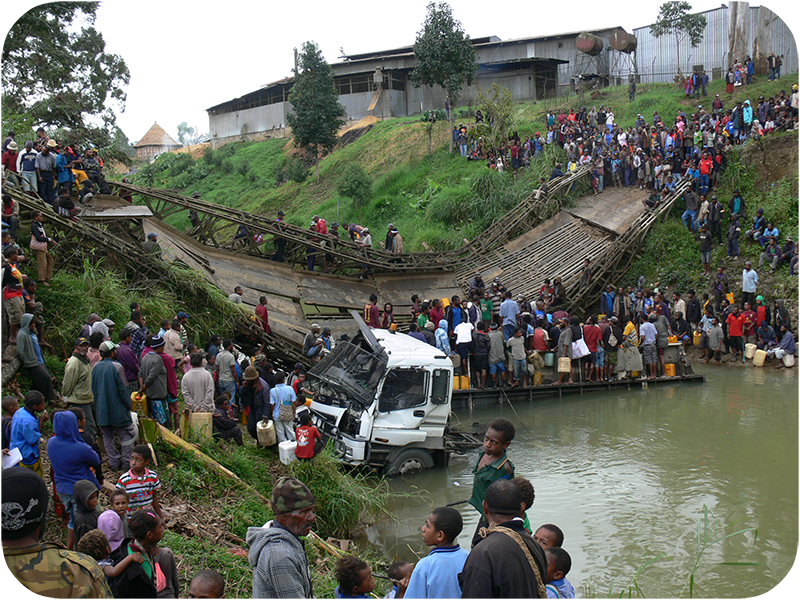 About 7am on Wednesday (6 Aug 2014) a commercial fuel tanker attempted to cross the Kingston Bridge traveling from Kainantu towards the Aiyura Valley (where we live). 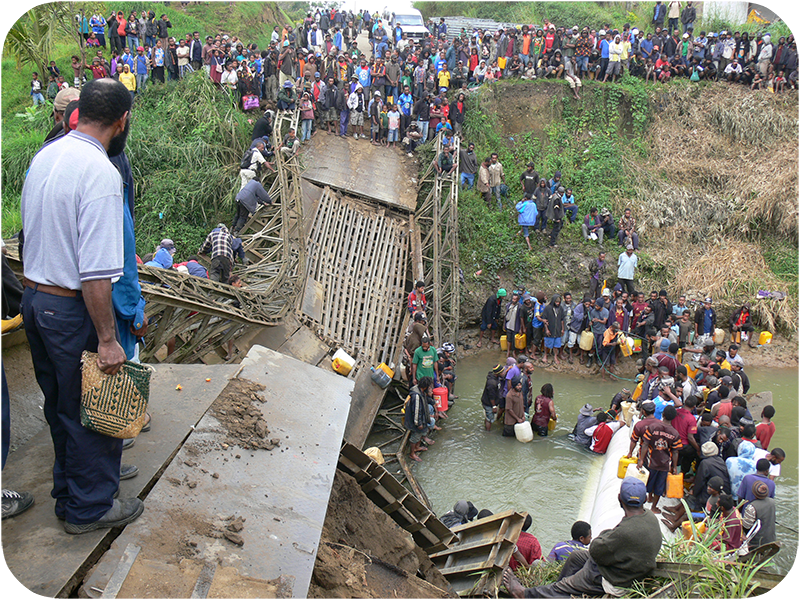 While the truck was on the bridge the bridge collapsed under the load. Both the bridge and the truck fell into the river below. Reports are that the driver is okay, but we have no further information on his condition. So what's the big deal? Well... this bridge was kind of our only connection with the rest of the country by road. So at the moment, we're stuck. Thankfully, we all knew this was going to happen one day, and contingency plans have been talked about for years. Check out this post Brian wrote over two years ago the last time that the bridge almost collapsed. Brian and I were actually planning to drive into Kainantu that same morning to stock up on dog food and some other supplies (we can buy dog food for half the price in town), but our plans were dashed by an early-morning phone call. All in all, our situation is not terrible. Our store had just received a huge shipment of food, so we won't starve. Our fuel supply is limited, and so fuel sales are being rationed, but we don't really have anywhere to drive to, now do we? We still have our airplanes, and can fly people and supplies if needed to and from other parts of the country. A replacement bridge has actually been purchased and just needs to be installed, although we have no idea how long that might take. Let's just say that Brian and I aren't expecting to drive to Kainantu again before we leave for the U.S. in September. Please pray that the new bridge would be installed quickly (and properly)! 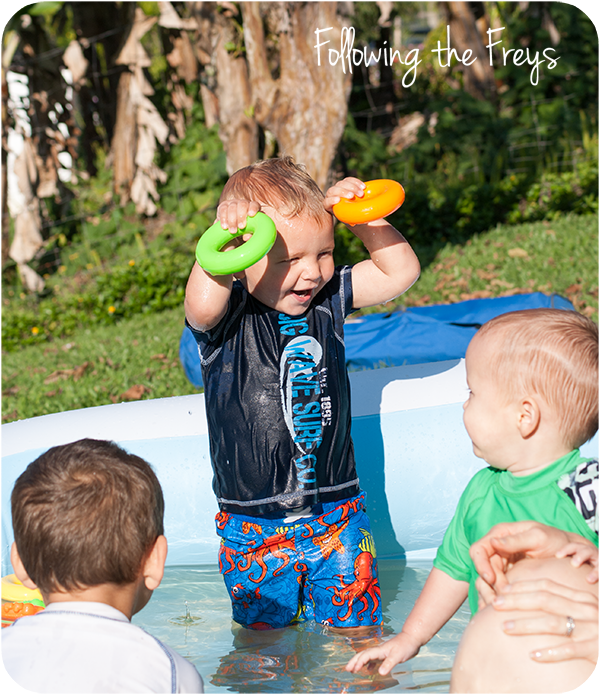 The boys enjoyed splashing in their friend's backyard kiddie pool. 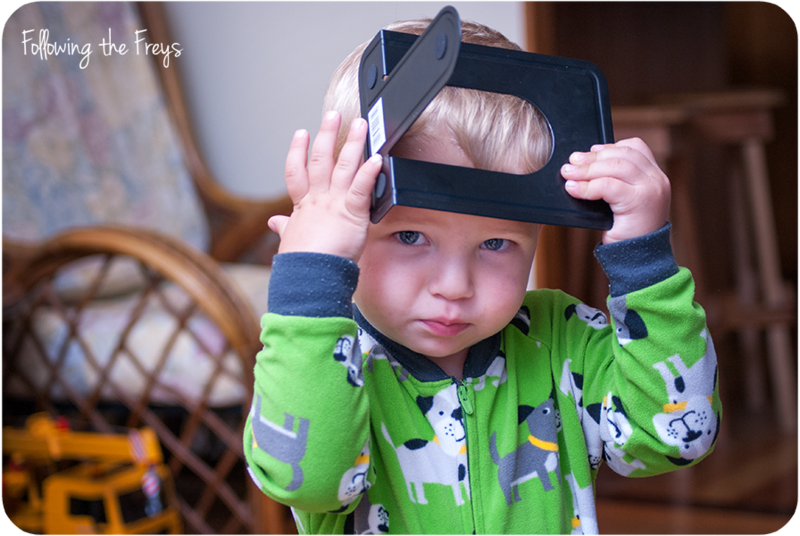 Caleb came up to me one day with this bookend and said, "Look mom - chainsaw!" He has been carving up our whole house with it this week. My last two weeks have been dominated by trying to paint the baby's room. It's hard to paint with two little kids at home and a husband who, through no fault of his own, has been swamped at work and unable to help. It's almost done - I still have to finish painting the trim and baseboards. 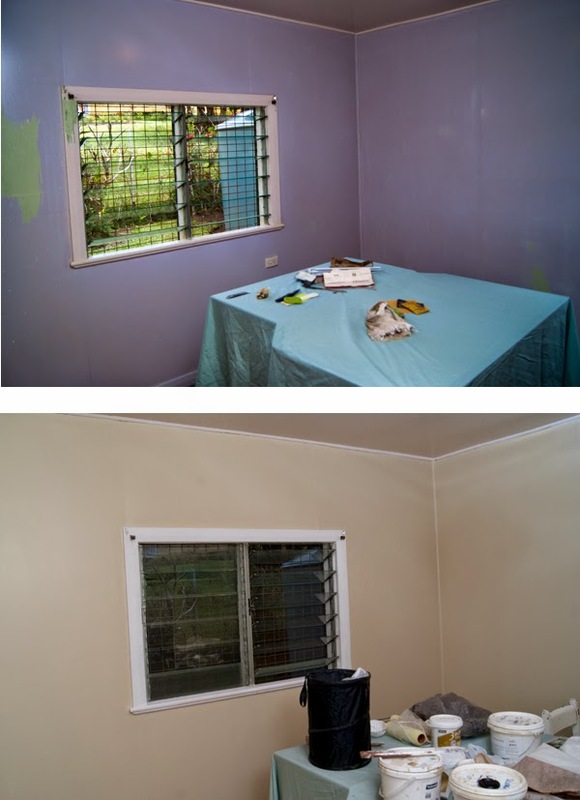 The old paint (top) was a peeling purple color over green. It had to be scraped and sanded down before I could paint. Thankfully a friend came over to help a bit with that tedious part. I now finally have the walls painted, with a special shade I like to call "leftover paint from living room" because we're trying to do this on the cheap. I'm going to be giddy once this silly project is done and I can get down to what this pregnant lady really wants to do: get the baby things out of the attic and set it all up for the new baby! 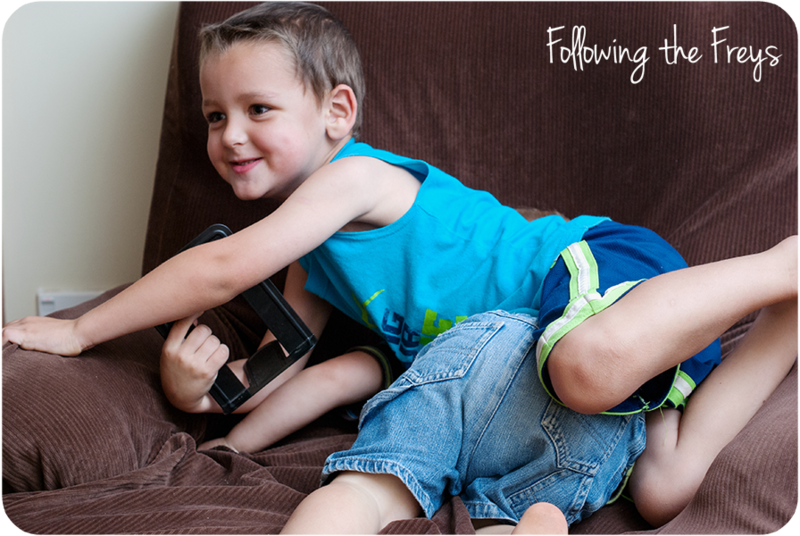 Ahh.. the brothers play so nicely together. (Were they fighting over the "chainsaw?") Actually, I'm pretty sure Caleb was laughing when I took this photo. They do place nicely most of the time. Caleb fell in the mud yesterday when we were walking Greg to preschool. 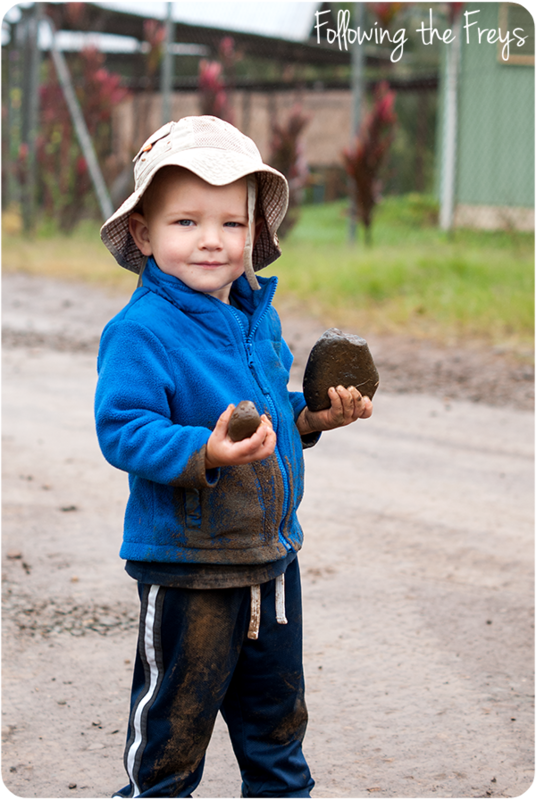 All was well again when he discovered some big, muddy rocks to carry home though. This boy loves rocks and sticks!